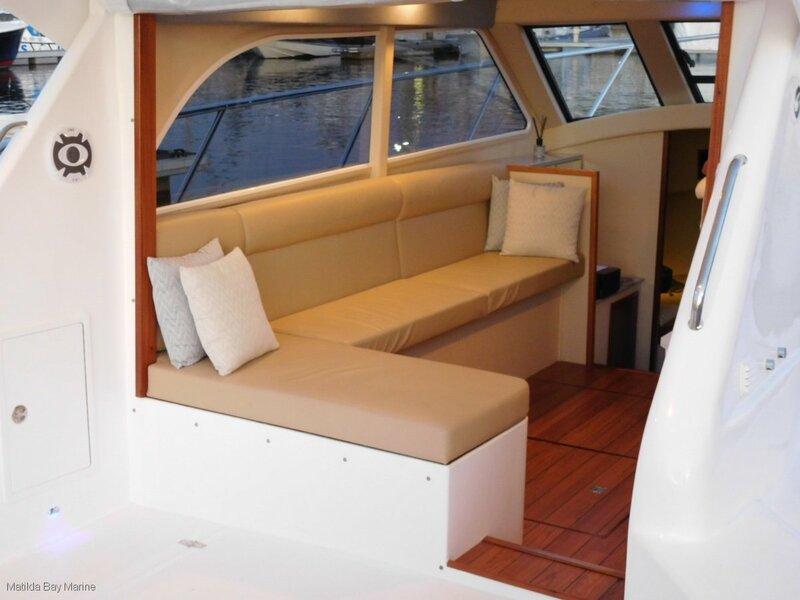 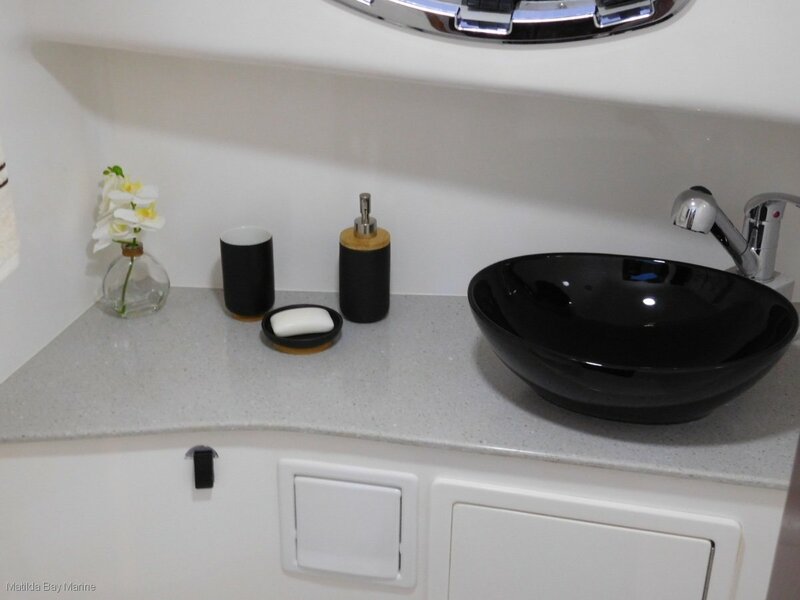 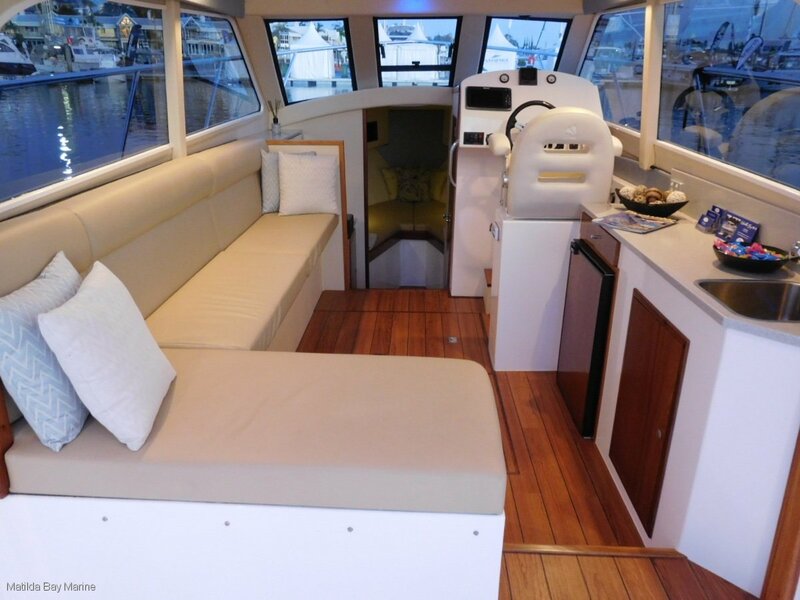 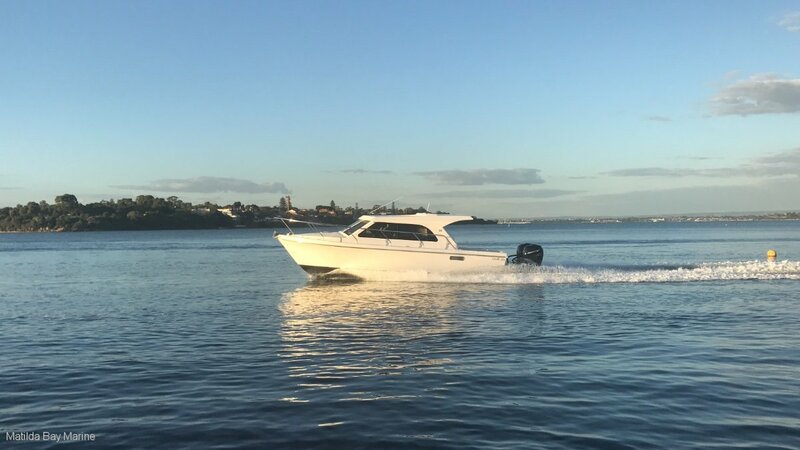 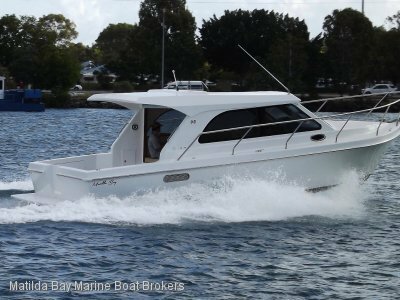 Are you looking to upsize into a sports utility vessel or SUV, the Matilda Bay 32 takes the utility side of it even further, big back deck for fishing, huge open area inside for entertaining, fantastic sea going boat, Rear cockpit seats are optional as is an enclosed cabin. 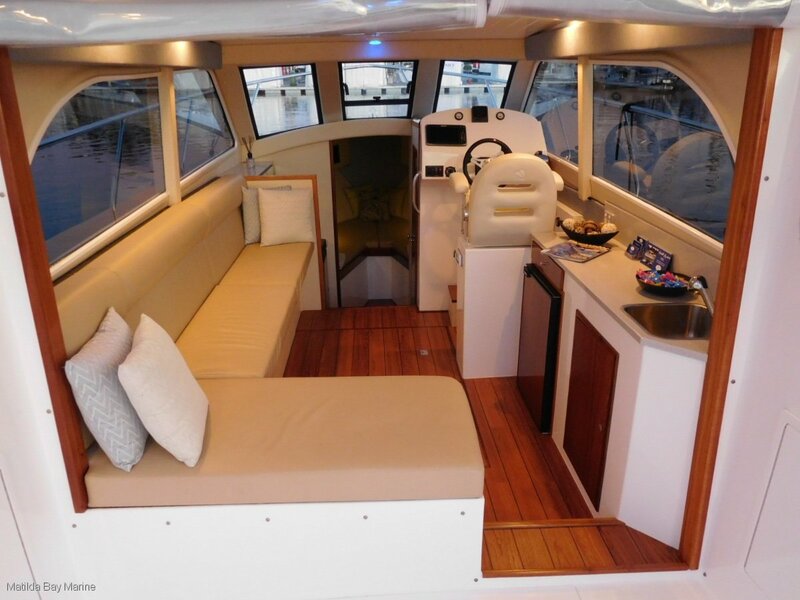 With shallow draft and outboards tilting way out of the water it is the perfrect low maintenance vessel for your waterfront home or for cruising the many rivers around our coast. 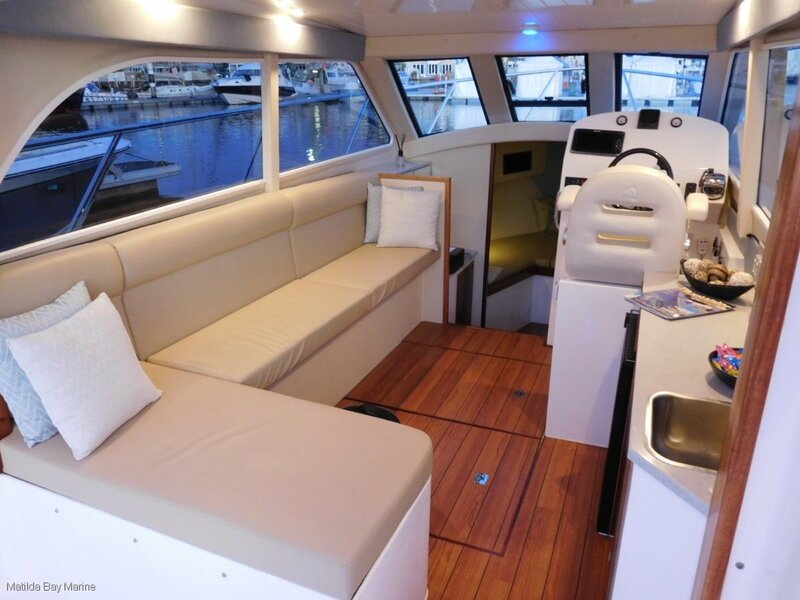 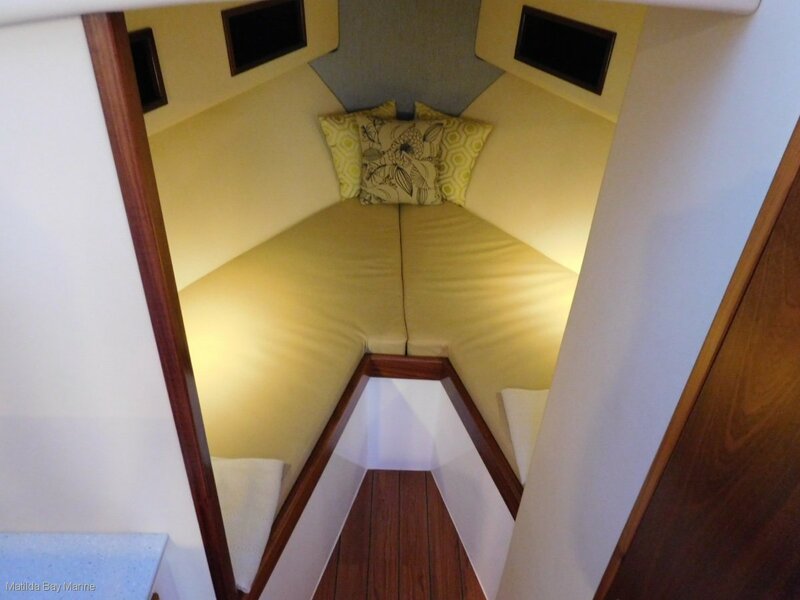 This boat is fitted with a fully washable interior which will work for fishing or simply kids having fun. 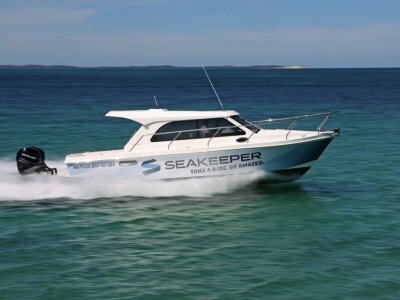 Now with further optimisation of hull shape - keel reduced in size for higher speed operations. 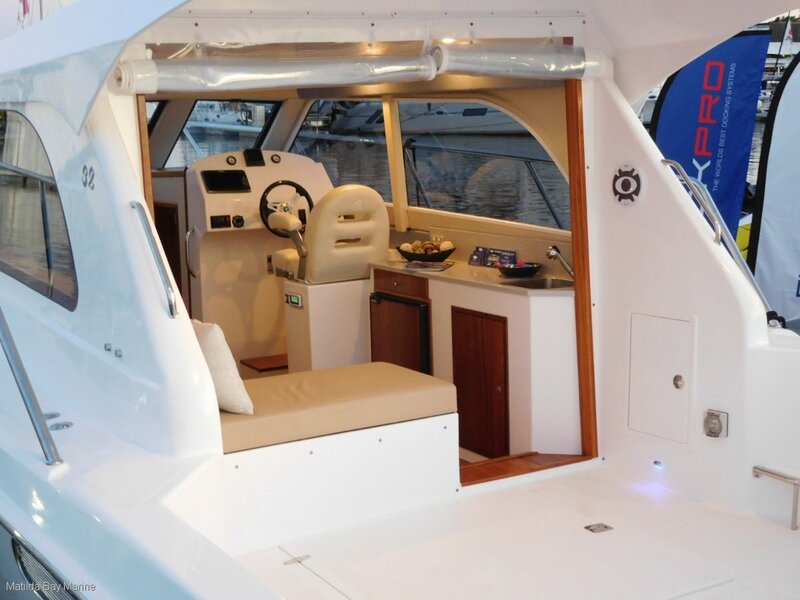 If you want it NOW come talk to us It is time to part with our stock boat - she has been used for demonstration purposes and now will go to a new home. 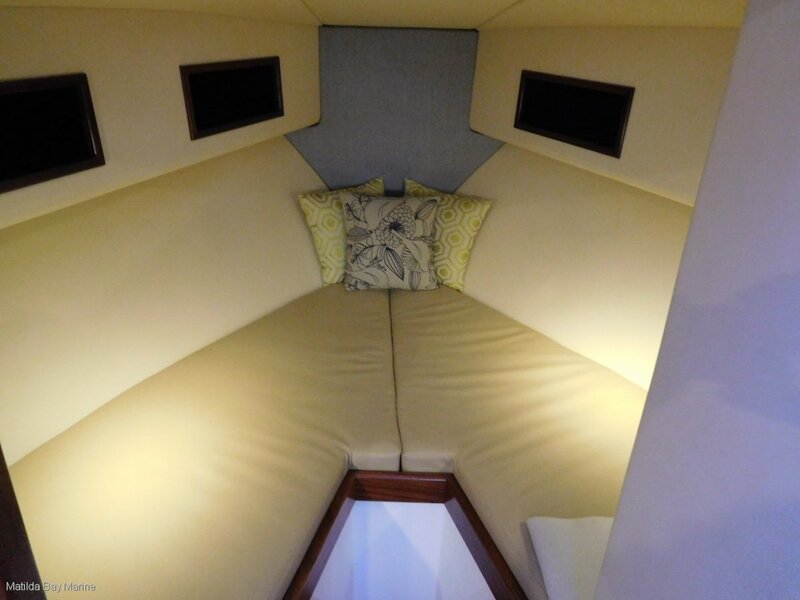 Whilst the current seating is in Vinyl we will retrim for you in fabric if you prefer. We wanted a wipe over boat for boat shows. 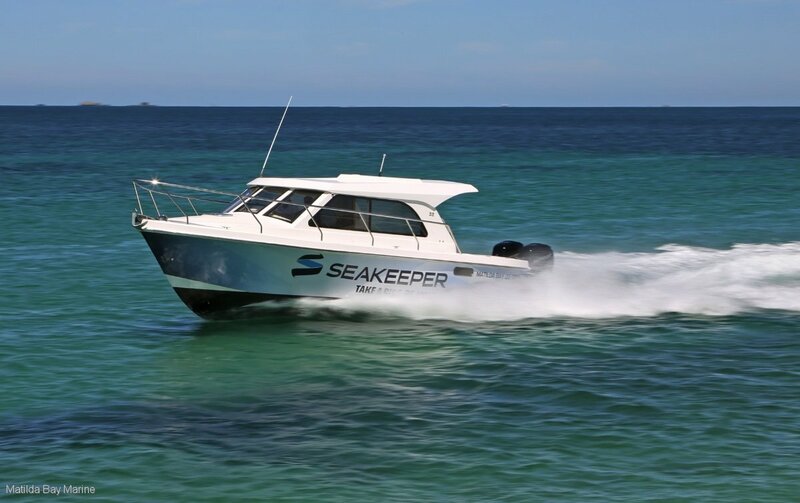 Seakeeper GyroStabilization is optional full installation done but not currently installed. 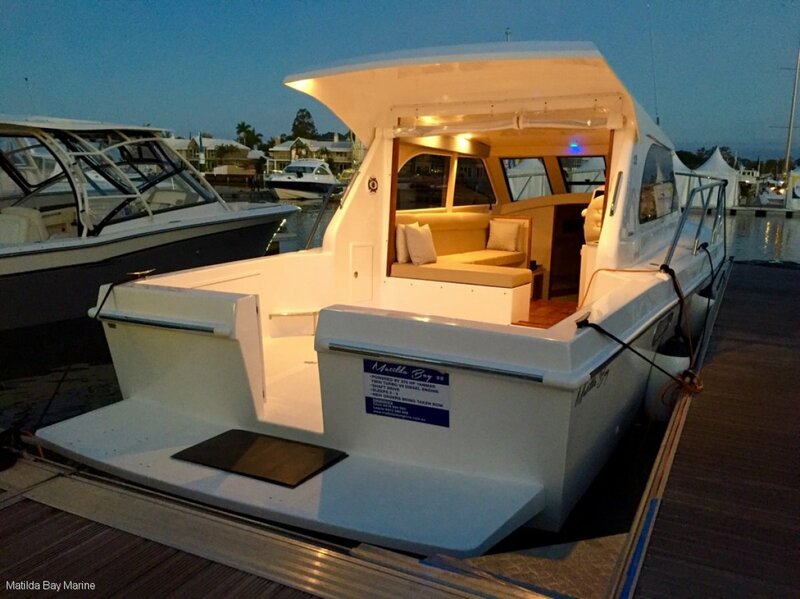 View by appointment at Boatworks Coomera. 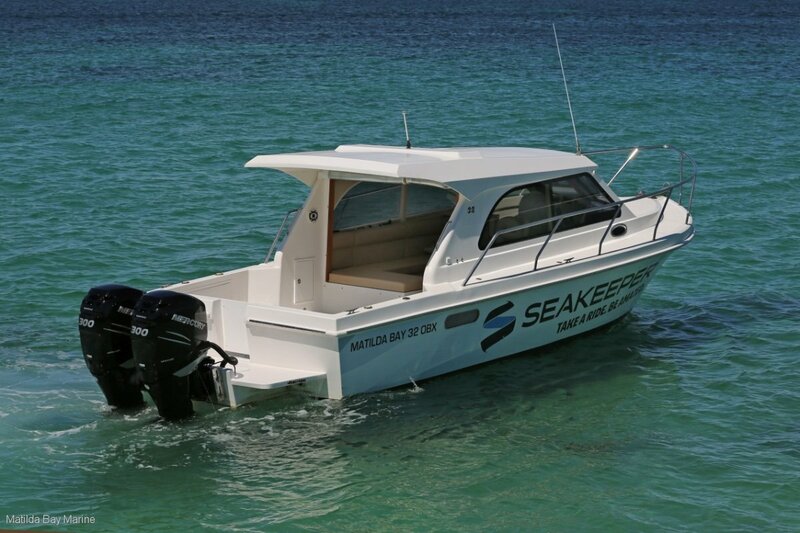 We are keen to sell our demonstrator. 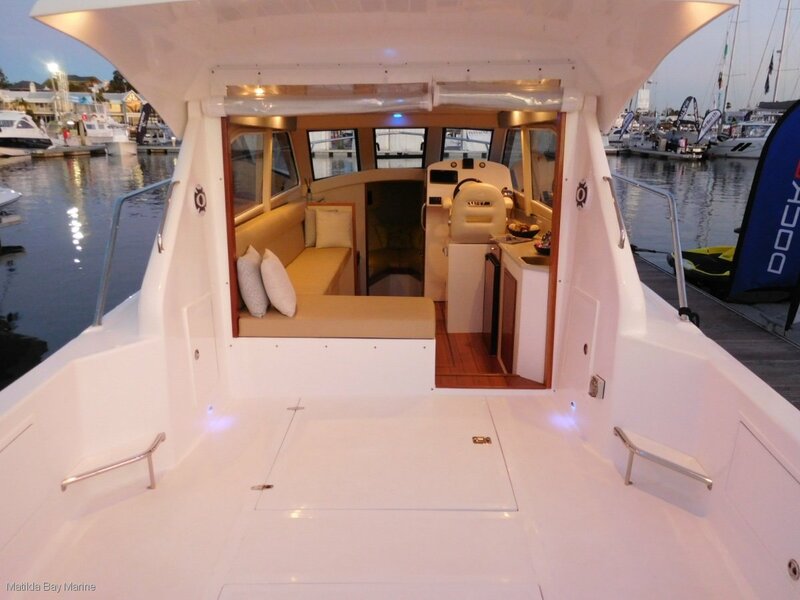 Call Chas Milner for a private viewing or demonstration.